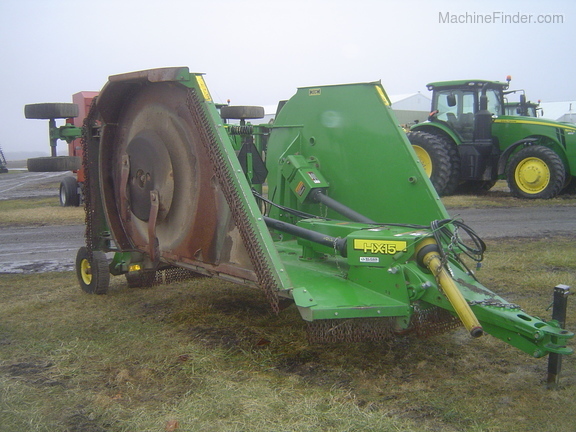 Description: HX15 WITH LAMINATED TIRES, DUALS ON WINGS, 540 PTO, 2 HYDRAULIC LINES, BLADES GOOD NICE CUTTER. Call, email, or visit sloans.com for the current location of this item. Other websites show the location as Assumption, IL or Monroe, WI, while it may be at any of Sloans 20 stores. 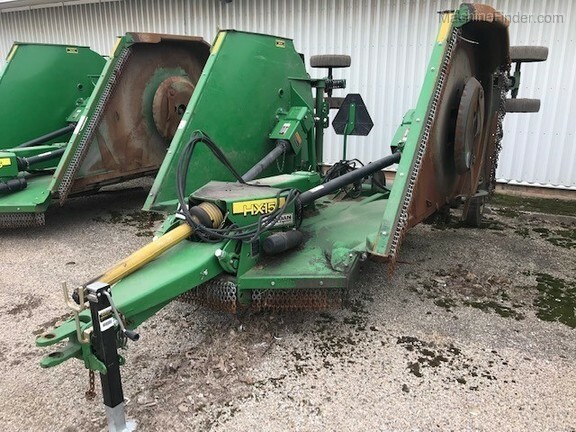 Description: 2017 JD HX15, SMALL 1000 PTO, 8 LAM TIRES, IND WING CONTROL, FRONT AND REAR CHAINS. Call, email, or visit sloans.com for the current location of this item. Other websites show the location as Assumption, IL or Monroe, WI, while it may be at any of Sloans 20 stores. 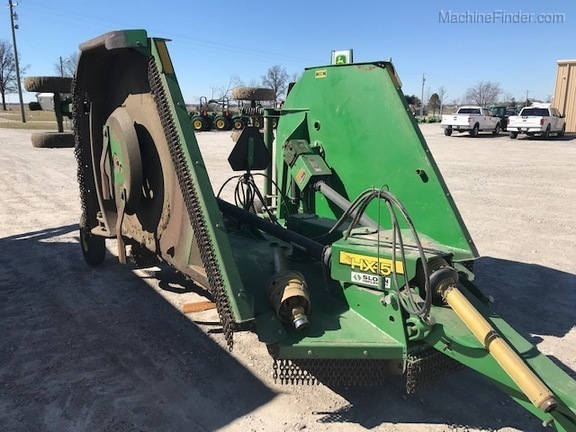 Description: 2014 HX15 15' batwing, small 1000 PTO, Laminated tires, front & rear chains, 8 tires. 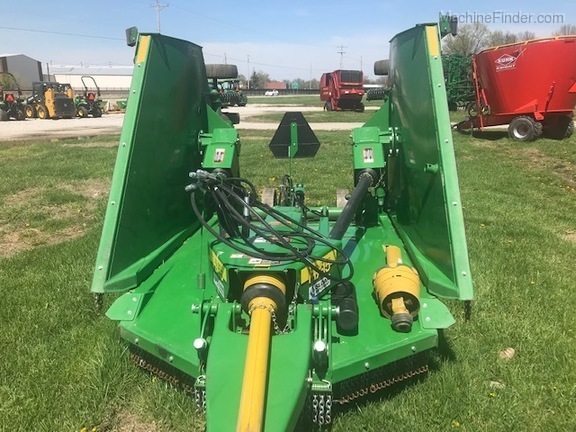 Description: USED 2018 SEASON ONLY, SMALL 1000, FRT REAR CHAINS IND LIFT JACK.